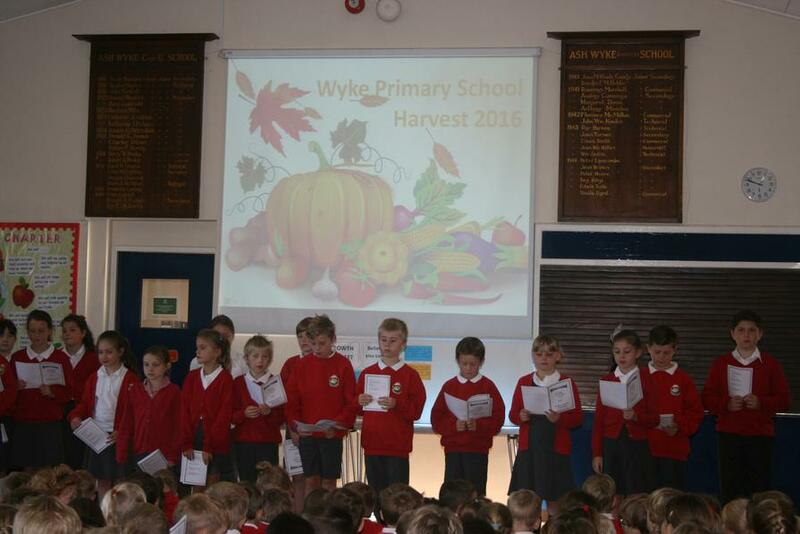 We celebrated Harvest at Wyke by holding two events. 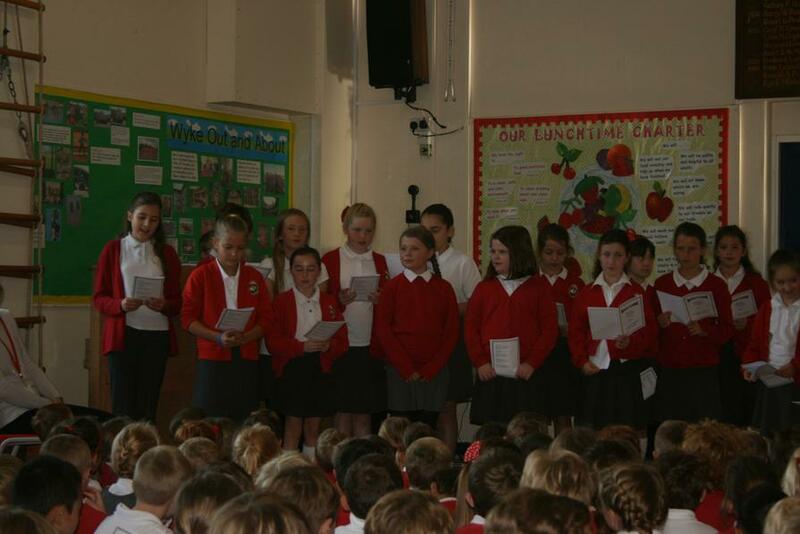 On Friday, each class presented something to the parents in an assembly. 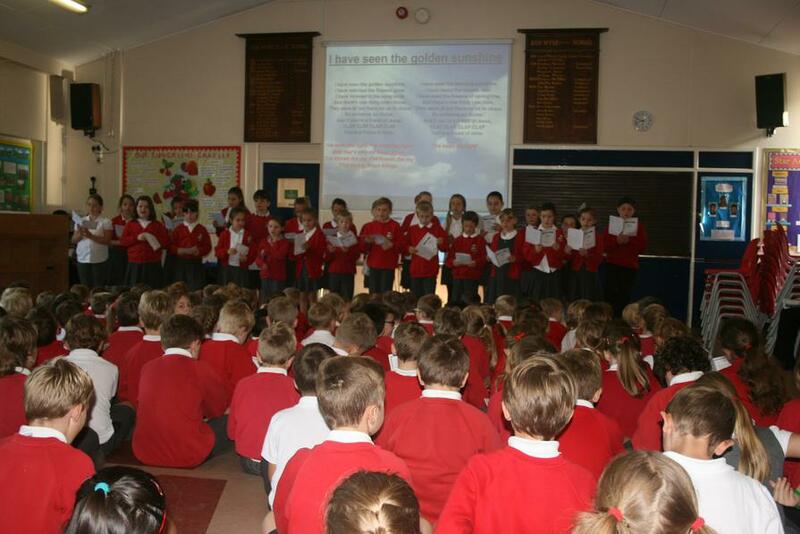 It was a lovely celebration for the things we are thankful for. 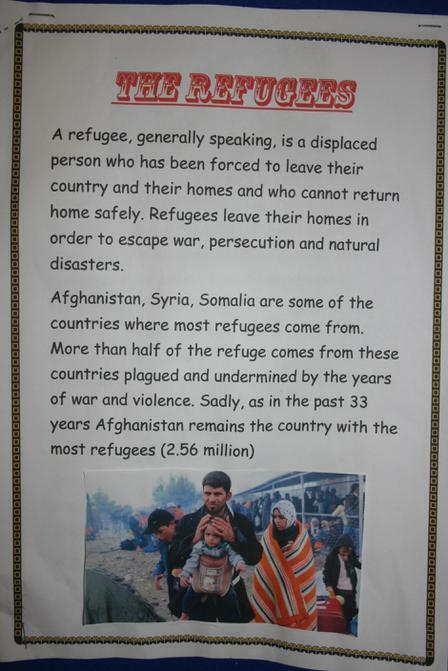 Year 5 & 6 ended to assembly by sharing all they had learned about refugees and explained that the money donations we collected would be sent to the Unicef Refugee Charity. 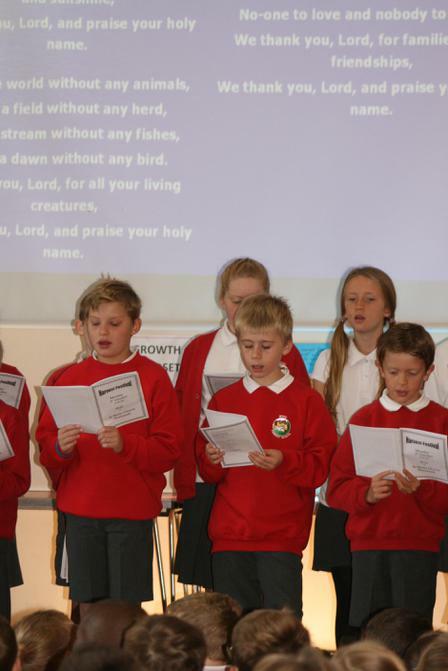 On Monday, we were planning on going to St Mark's church for a Harvest Service, but unfortunately the church have a hornets nest at the moment! 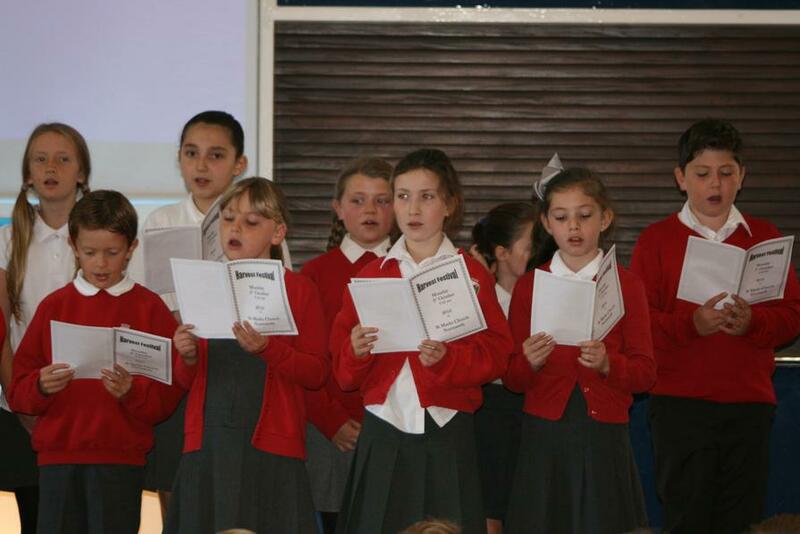 We decided to have the service in the school hall instead. 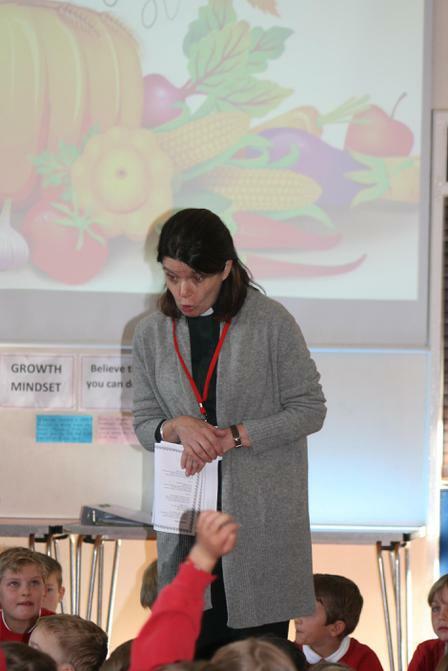 Reverend Alison talked to us about what we say thanks for and who we should say thank you to in our daily lives. 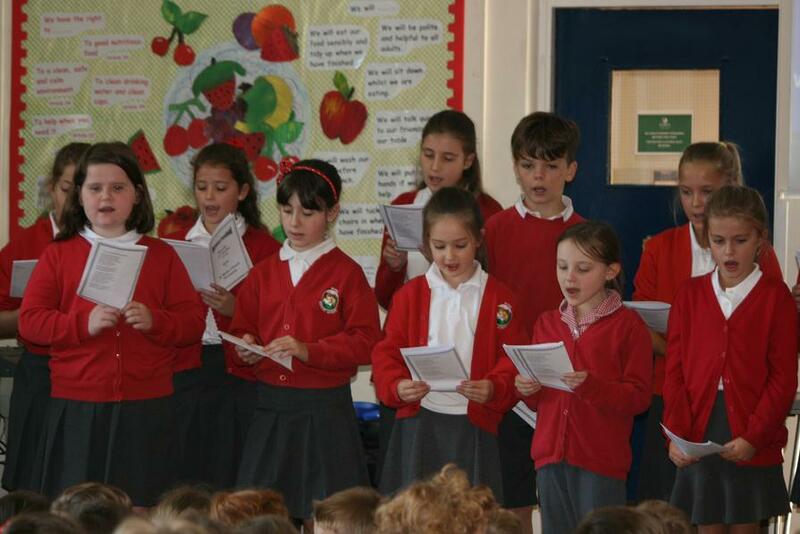 We all sang and the choir performed some beautiful songs about Harvest. 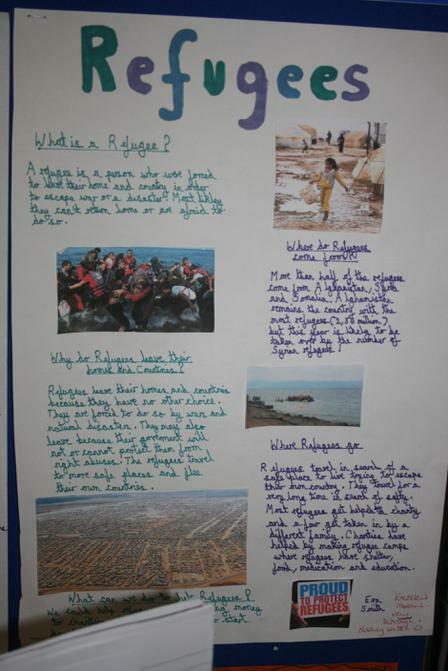 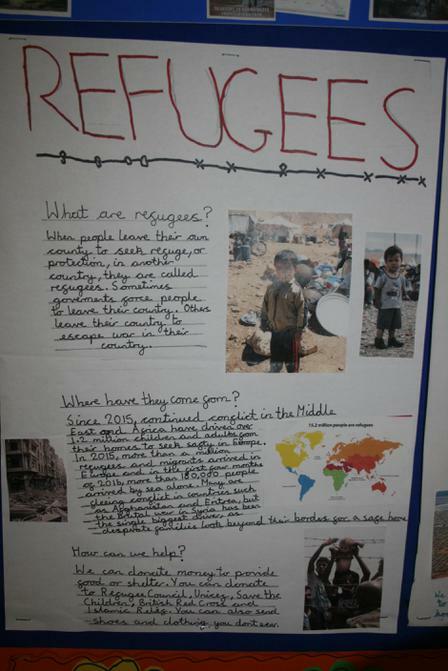 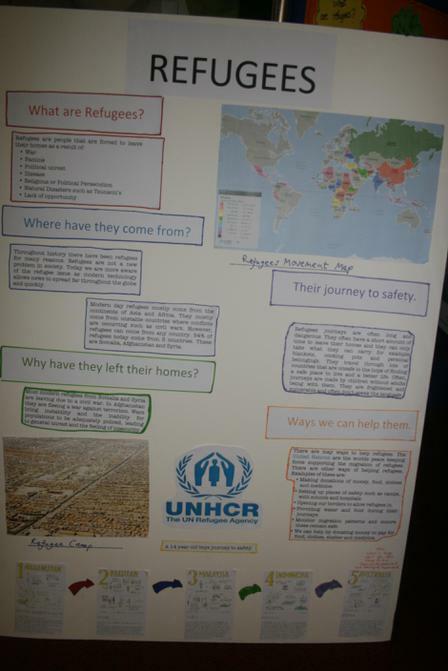 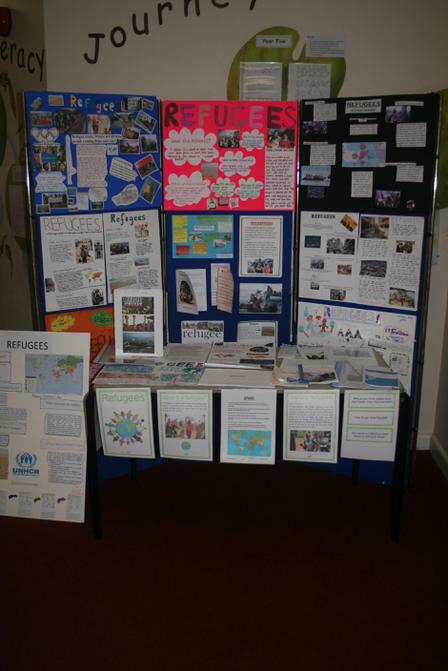 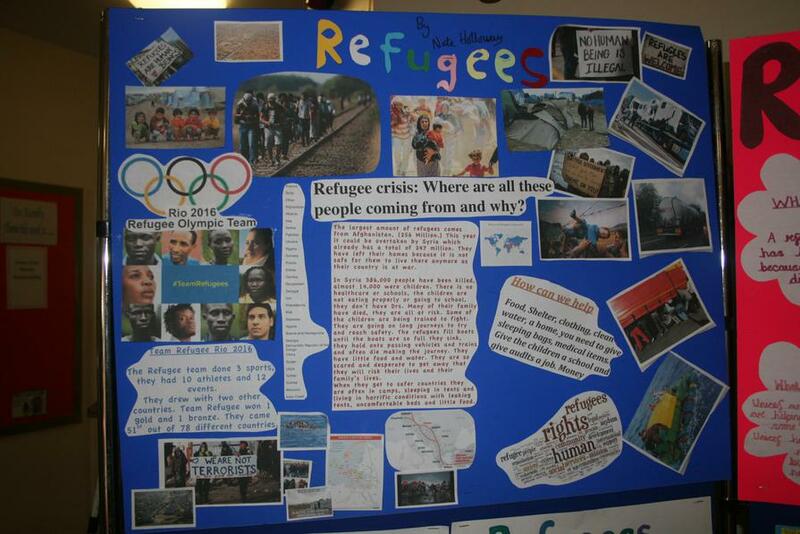 Year 5 & 6 have created a display of the home learning they did about Refugees. 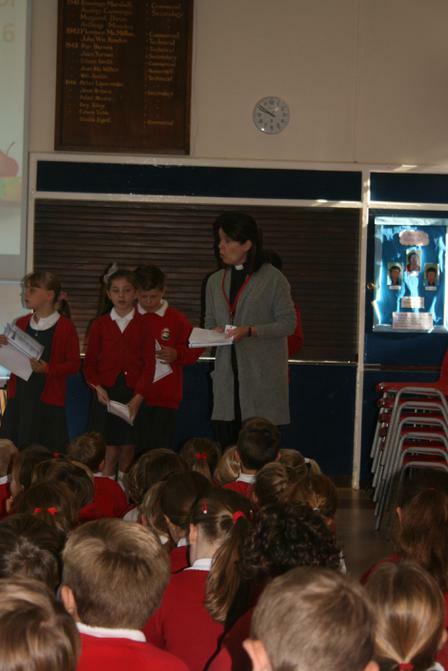 Thank you to everybody for your Harvest donations! 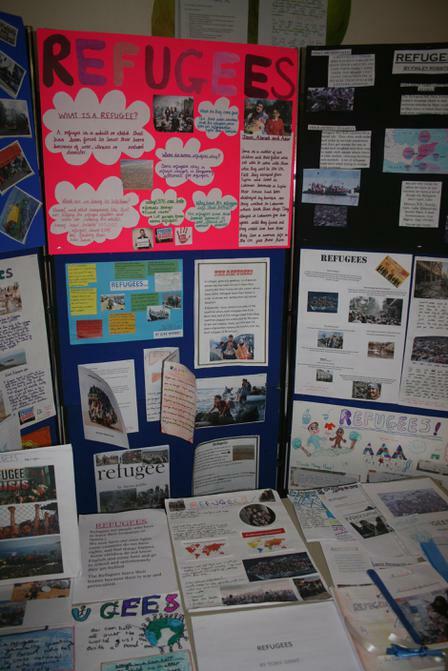 We raised an amazing £367.37!